The way modern smartphones are handling all our business and private details, everyone is concerned about its security. If you’re not concerned, you should be; because when you loose it, you’ll realize what a fool you were that you didn’t take precautionary measures. Getting your mobile phone lost of stolen is like a nightmare. You don’t just loose your phone, but with it, you loose your personal emails, photos, videos, contacts, business and other private details of high concern. It’s very essential that you regain control of your phone, or you could atleast wipe all your personal info, data from the phone. In this regard, not all manufacturers have made considerable effort. In fact, we hope that Google should launch such mobile tracking service on board by default in its next version of Android OS as android covers most of the smartphones built today. Lately, Sony has made such effort by launching pilot program of its ‘my xperia’ mobile tracking and remote control service. 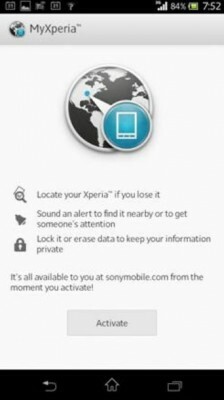 Ring their Sony Xperia mobile phone directly from its website so that you can easily find it if you’ve misplaced somewhere in your house. Display its current location on map in case it is lost or stolen. If for some reason, it isn’t able to display location info, it’ll send you email when it could. Remotely lock xperia phone with pin and a message on its screen. Without pin, one won’t be able to access the phone. A phone number could also be displayed on the screen so that the finder could reach you if the person is of kind nature. You can also remotely wipe all internal card and sd card data to prevent breach of privacy or confidential information. It’ll also notify you on your email address when it is able to track your phone location, lock status, wipe status, etc. SO, if you own Sony Xperia smartphone, I know you’re tempted to activate this feature on your phone, but unfortunately, ‘my xperia’ service is in its beta stage so a pilot program is launched with the service currently available to users of Nordic countries for select Xperia smartphones running ICS or JB. Soon, the rollout would continue to other parts of the world, with final launch aimed by 2nd quarter this year, when Sony has acquired enough feedback for the final release. When the service will be available for you, you’ll automatically receive a notification on your Sony Xperia phone with instructions on how to use and activate this feature. You’ll be required to download My Xperia app on your smartphone via OTA updates. After download, just go to phone settings > Xperia > my Xperia and tap on Activate button. The mobile tracking and remote control service will be then activate on your xperia phone. 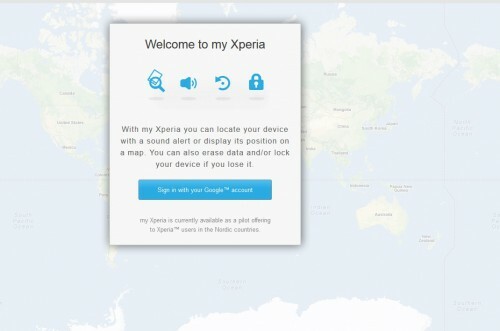 Now, go to https://myxperia.sonymobile.com/ and try the remote control and tracking feature yourself to see how it works. This is really a good job from Sony and we hope this feature to be available on more and more xperia phone models. Samsung also has one such service with same features as offered by ‘my xperia’ for its flagship Galaxy S lineup phones with the name samsung dive. Just go to samsungdive.com to activate, understand and use this feature if you own Galaxy S series phone. Apple has ‘Find my iPhone’ feature that works for iPhone owners in the same way as proposed here. As said earlier, we want such feature to be natively offered by Google so that one doesn’t need to rely on phone manufacturers for such feature. If Google starts offering native mobile tracking feature in android os, this will make such service not only easy and universal, but also widespread. Next PostWill PlayStation 4 be released on February 20 ? 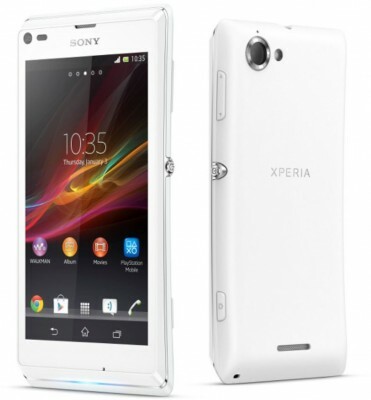 I have lost my xperiaZl on 26/7/2014 and could not find till to date . I have done all formalities such as F.I.R to Police ,informed to Sony . com etc. Now I feel this tracking system should be arranged in the phone in such way that autometically it will work to found out location when ever pre-installed Sim and or micro sd card is replaced or restart the phone through an allert tone and or immedate Email to the first user of the phone . I now feel for the loss of a real good phone sony Xperia Zl,6502.